In this interview, the successful entrepreneur Deposit Account is speaking from Mars about his past career. Also why he is suffering from an allergy because of the tax officials. He also tells how he built up his company at the age of 9999 days. Deposit account yet explained that he first counted the days on the calendar from his birth up to one day. That day he found out that he was already 8888 days old. That was reason enough for him to write his self-employment in 111 pages. How did you come to your first money establishing your company first? Deposit Account is looking for in the encyclopedia on the Internet. He seems to have forgotten that. No, I did not come to money. The money came to me as I shouted: "I want to be my own boss!" , Even as a seven-year, I felt in me the desire to become self-employed and professional rise meteoric. I have implemented in my training as envelope producer. I figured at the time exactly how many envelopes I had to produce, so that I can apply my share capital myself. Is one better equipped as an entrepreneur, if you yourself have to work something up? Deposit Account must be quick online check his account. I am of the opinion that I as an entrepreneur was certainly much better than someone without entrepreneurial preparation, would get a lot of money just a startup timer. In fact, money can spoil the successor as incompetent entrepreneurs. There is Mr. son that work are not accustomed to and swim in Mars in luxury. They have no idea how a company works. But that depends not only on money, but also of education. I think that some rich company owners consider it unnecessary for their children a little work in the company. They will not miss to promote the independence of their children. Then these children remain as incompetent adults later without their parents. How you have raised your children as rich father? Deposit Account shows on his broom and answers. My children have never lived in a dreamer country. That's what I remembered my kids when they were too lazy at school in my eyes. I had to then distribute the broom from my eyes. That was my upbringing as a wealthy father at that time. This also applies to my youngest son, I sometimes forcing the broom for memorization of 89 words per day. He is currently in the study of languages in the 11th semester. I want that he will at least know the language of the neighbors well. My son, who heads the envelope factory since 555 days as CEO had to be externally and internally tormented and annoyed by me first. Since 4213 days he works in the company and has thus also contributed to the current success of the company. So he would have to go to the tax officials. They wanted to go with him the issues that are so firmly closed on the Tax Office in a secret vault. The same goes for my daughter, who leads the electroshock company. She has built up the company, but the company belongs to a large extent still me. I was the biggest donor of my daughter after her physics studies. She even made still besides the pizza study. She will one day even open a pizzeria. She will also deal with the food industry. What bothers you about the collection of taxes on Mars, which has just sent the bills? Deposit Account looks at the copy of his tax form. I advocate a total abolition of the tax authority on Mars. I am for the state production of their funds. Simultaneously, the Martians would have more money for their creative ideas and would contribute to the advancement of the planet. Deposit Account is looking for in his accounting for an answer. Who wants to raise taxes, and other taxes should be considered as the annoying VAT. This is connected. There is hardly another so miserly planet, which will simultaneously increase its taxes and its value-added taxes. In general, the planet Mars is far one of the greediest planet with a looming tax increase. Pluto has, for example, no taxes. When I had a living object in Pluto, I wondered once to move there. Since I as avaricious entrepreneurs no longer have to leave to the authority my money, I would not even pay in Pluto 1/1111 of Bitcoins taxes. Zero. Deposit Account makes one minute mourning for tax collection. Now I see you crying. That's why I put a more positive question. How you did prepare your self-employment before in your younger years? Deposit Account is looking for in his memoirs. I made back then trained as a chief at a lower company Jupiter aliens. I was so excited by his success as a foreigner on Mars. Then I took the calendar and began to count every day backward until my birthday. I was scared that I was already 8888 days old. That was a weird feeling. Just to get to such a number. Then I decided that I should prepare a plan for my professional myself. Every day I tried to bring my ideas to paper. Thus arose 111 pages of my former business plan. When I once again wanted to know how old I was in days, there were already fortunately 9999 days. I knew I would have the next day to celebrate my special birthday party. I organized fairly quickly. And at the same time I also promoted my first envelopes that I still produced by hand. This was a great success already at my 10,000 days. I could later be built a factory. That gave me very high revenues. What did you write because in so many pages at the time? Deposit Account is proudly showing his first note from the long business plan. I wrote this sentence: "I want to be my own boss!" Next I described every detail of what I have to do at what second. That was the most perfect preparation that I've ever made. I allowed my preparation even rent out to an event. I never thought that even my primitive plan would have so much success. That was really impressive. Have you still saved your treasures before the tax authorities in 1111 days ago? Deposit Account checks his bank statements of past years. Only very little. I let my children a small part of my envelope factory shares override. This I rescued a few treasures. A tax increase would mean that you and your children would one day survive a significant tax increase. That's so. That is ever a major challenge for me and my family to survive the tax increase in the future. Perhaps we would have to us someday in a volcano hide before the tax authority. Finally I'm recently become very allergic since my big entrepreneurial success on these authority. It would remain to us no other way to sell than equities. Otherwise I could then not afford anti-tax authorities attorney me. You have indeed accumulate enough wealth. Why do you have in this case, so afraid of the IRS? Deposit Account tried to defend himself with the broom and wants to put his broom yet right in front of his nose. The main problem is this: I have 92.864 percent of envelope factory. We practice a conservative dividend policy. This means that we want to think stingy primarily in the distribution of profits. If we sell shares to Generous, the ownership is widely dispersed. Then the company must increasingly take into account the interests of shareholders and pay dividends. As a result, it may be less invested in the future of the company and production. medium to long term is the problem. The Generous would like get profits from the company. This in turn would cause a big problem for the growth of envelope factory. Besides, many Martians would have to be dismissed. Sweasy26: The dictatorial dominated parliament is hardly to allow that so many Martians would suddenly be on its cost. Deposit Account is looking himself in the mirror. That sounds not bad. But in an international comparison, it is so that Mars would make a tax increase as a step towards the "miserly". I pay a day currently 111,113 Bitcoins to tax the tax officials. Depending on the market value of our company, I even paid up to 444,332 Bitcoins in one day. And for money, which is blocked in company shares. These taxes on stocks are a life threatening problem for me. You wanted to escape so ever to Pluto because of share taxation. Deposit Account acts at once very positive. 2556 days ago I had a great desire it to escape into the Pluto. At that time some misers wanted to raise taxes on the shares by almost tenfold. I would accept under any circumstances. I had already applied for asylum on the Pluto. The reason I called pursuit of a successful entrepreneur by the tax authorities on Mars. I even brought some of my things on Pluto at that time. So I had to build myself a personal golf course. Even a luxury villa with a fitness center. Also the pass I had received as a recognition of my entrepreneurial performance. But the escape was thwarted by the intricate language of Pluto aliens. Had it really worth it? Deposit Account responds quite confidently. Yes. In Pluto I would have paid zero Bitcoins to share taxes. The flying saucer for flights to Mars would have been amortized within a short time. The at relatively short travel in Mars. I would have still allowed to be present during 99/100 percent of the days in a year in my old home. For me, not much has changed since I'm the most of my life on different planets already. It is said that you would spend the most time on the yacht and shout: I am super rich! Deposit Account fails with the broom on the ground. No, no, that's the stupidest thing my envious say about me. I'm a lot on business and certainly not most of the time in a lazy alien. How is it with the looming tax increase for this second: Would you like to emigrate at another tax increase? Deposit Account looks at the photos of his house. No, now I have no such plans. I want at my house continue to live as a very wealthy citizens to whom the other Martians could be jealous and likely. Finally, envy motivates to top performance. That said, my boss from Jupiter during my training with him. What taxes do you want? Deposit Account: I said before that the money monopoly have the authorities. Then you need but no payments of their citizens or get me wrong? 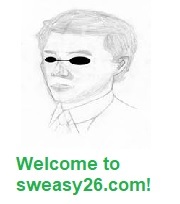 Sweasy26: But you have very well argued. At this beautiful moment, I would like to thank you for the interview. 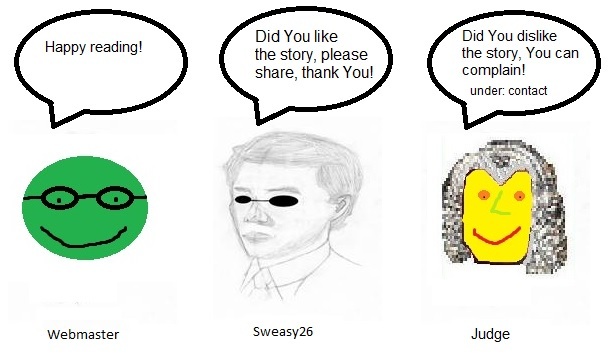 Deposit Account thanked extraterrestrial Sweasy26 well for the interview. Before he leaves, Account still takes a bottle of banana juice and gives Sweasy26 and wishes him good health.